When you are looking for an airline to use for your travel needs, it can be a little confusing especially since there are many airlines available for your choosing. However if your choice is not limited with just the destination but how comfortable the journey will be, look no further than Singapore Airlines. If you are thinking of taking a regional flight, you should try the new Boeing 787-10. This air craft is the height of luxury. The seats are quite comfortable, whether you are in the sitting or bed position. You are guaranteed privacy with a great entertainment system. The space provided for your book and headphone is adequate. Singapore Airlines knows that much as a good aircraft is important, it is easy to lose the credibility of this amazing plane with poor service. This is why we have employed only the best members of staff to take care of their clients’ needs. When you first get in touch with this airline requesting for a particular service, you will be received warmly by the customer care desk. The members of staff are well trained and are able to give the correct information every time. If you are a first time traveler, it can be a little frightening when you wonder how you will know what to do. Our members of staff are there to answer any questions you may have and they will always be there to offer any assistance. With their help, you will get to your destination felling like you are a frequent traveler and not a novice as you felt when you first entered the plane. The quality of food and beverages served in this airline cannot be easily rivaled by other airlines. This is because they prepare the food taking into mind the different tastes and preferences of the clients. When making your booking, you will be required to inform the airline of any dietary requirements such as allergic reactions or preferences such as vegetarian meals. It does not matter if you are in economy class or business class. The level of service offered is first class. There is no way that an economy class client will be ignored in favor of the business class client. The only difference between these classes is the sitting area. 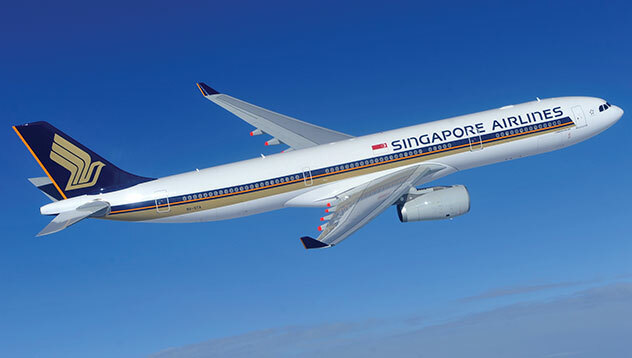 The difference is not reflected in the level of service because to Singapore Airlines, all our clients matter. Once you get into your seat, you will notice that the recline is excellent with adequate legroom for even the tall. Some airlines are more concerned about having more seats rather than being concerned about the comfort of clients. We feel that when clients are happy, they will come back and refer more clients. This is why we ensure our clients do not feel like they are being herded to one corner with barely any space to breath. This is not something you will not find with this Airline. With us, you get nothing but the best service.